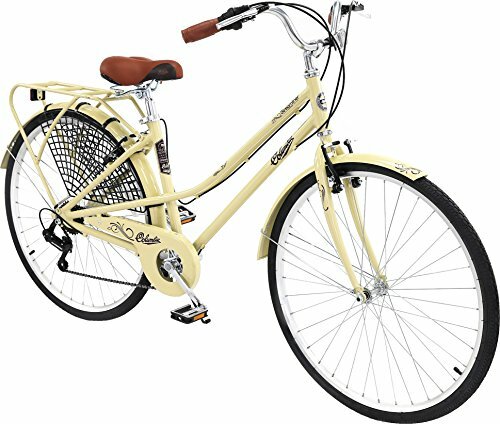 The Columbia Streamliner 7-Speed, 700C Retro City Bicycle is manufactured from quality aluminum for long-lasting durability. This authentic 700C Columbia Streamliner 7 design includes an embossed saddle and hand grips along, just like the original. Accessorized with back and front alloy V-brakes (direct-pull rim brakes) and a Shimano 7 speed gear shifter. Featuring upright geometrics both the saddle (seat) and the style of this bicycle are built for comfort and ease. Equipped with 700C aluminum rim wheels, designed to maximize speed and control, allowing the rider to get the most out of their excursion. A sturdy steal rear cargo rack, front and rear fenders and a kickstand are also included in this model, no plastic here! If you have any questions about this product by Columbia Bicycles, contact us by completing and submitting the form below. If you are looking for a specif part number, please include it with your message.